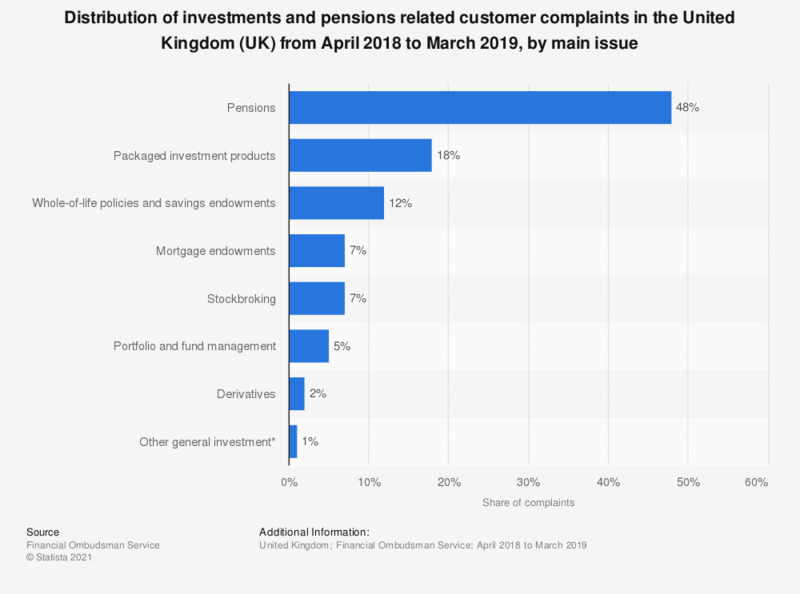 This statistic illustrates the share of complaints to the Financial Ombudsman regarding investment and pension services and products in the United Kingdom (UK) in the financial year from April 2017 to March 2018. It can be seen that the largest share of complaints - 42 percent - were related to pensions at that time. A further 19 percent of complaints were with regard to packaged investment products as of 2017/2018.